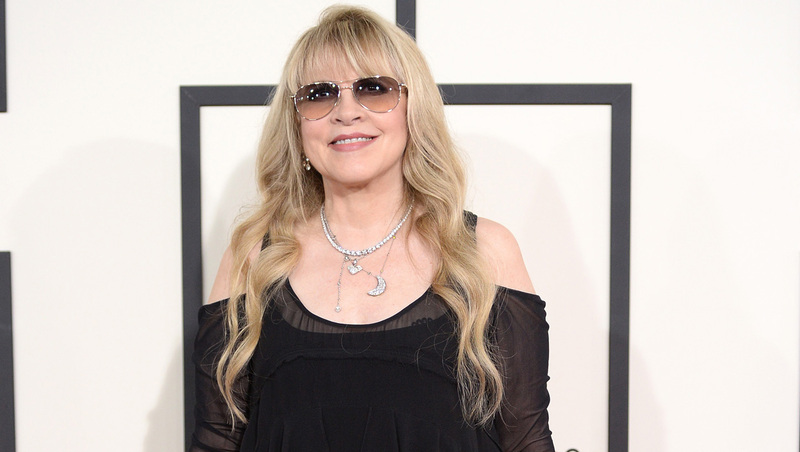 Stevie Nicks would love to write music for "Game of Thrones"
Stevie Nicks has already established herself as a television fan. She's appeared in episodes of "Glee" and "American Horror Story: Coven" -- and now the songstress has expressed interest in writing music for HBO's hit series "Game of Thrones." She told the U.K.'s Radio Times magazine, "I would love to write some music for the show. I've written a bunch of poetry about it -- one for each of the characters." Nicks, 65, added, "I'm always looking for that kind of inspiration, and I'm very inspired by the show -- as I was very inspired by 'Twilight.'" "Game of Thrones" came into Nicks' life after her mother's death: "I didn't leave the house for almost five months. And then I got pneumonia. With my pneumonia and my mother's death, I watched the entire first season of 'Game of Thrones.' That certainly took my mind off everything." The fourth season of "Game of Thrones" returns April 6. Nicks, meanwhile, recently wrapped up a tour with Fleetwood Mac and released her documentary, "In Your Dreams," on DVD. When asked earlier this month, if she ever sees Fleetwood Mac coming to an end, Nicks told the New York Times, "It will probably become less physical and involve less travel. But I don't see Fleetwood Mac ever really stopping."